In the past, administrating a corporate account meant you would have to provide and maintain a list of users. 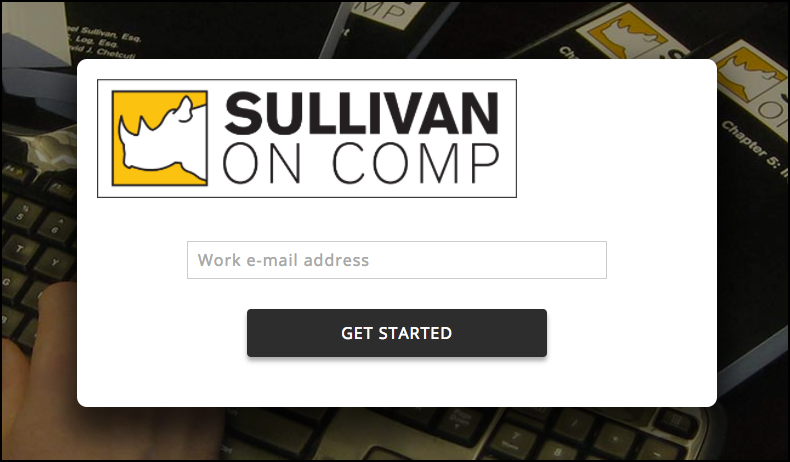 With the new Sullivan on Comp web app, that's no longer the case. 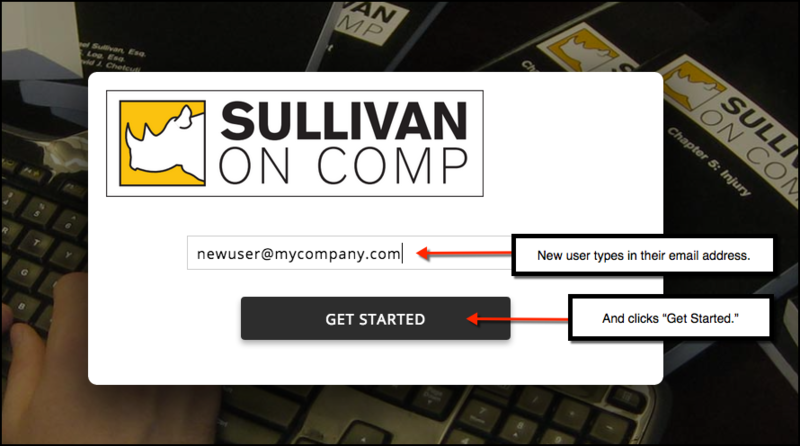 Now, Sullivan on Comp has a new easy process for enabling users to get up and running on their own. First, it start with a link. You'll receive a custom link that is unique to your company and we'll help you work with your IT department to get it distributed to users, either by putting an icon on their desktop or a link in your web resources starting page. They'll be taken to this page. They'll enter their work email address and click "Get Started." Then they'll see this welcome screen, where they'll enter their information and then press "Everything Looks Good." 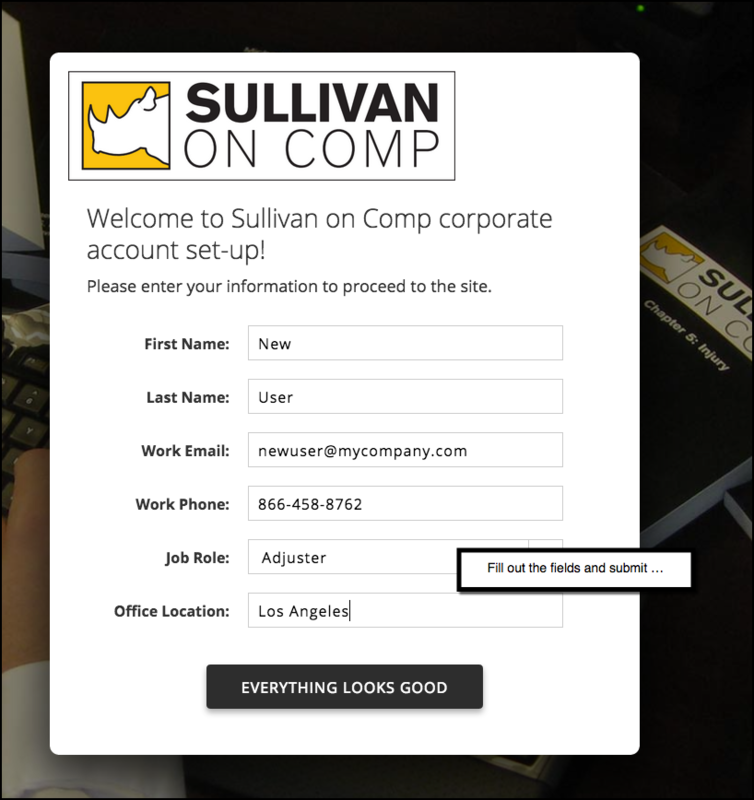 Then, they'll be taken straight to Sullivan on Comp, logged in. 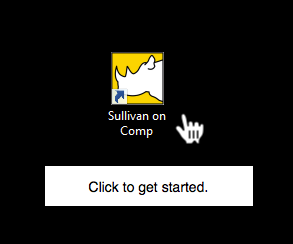 Later, when users wish to return to Sullivan on Comp, they'll begin again by clicking the corporate icon (or link). If your corporate IT policies and user practices allow cookies to persist, users will immediately go to the Table of Contents already logged in. If not, they'll see the email entry box, but after entering their work email address, they'll go straight to the Table of Contents. The only time they'll ever be asked to complete the set-up forms is on their first use of SOC.